Looking for family holiday inspiration? I love hot sunny weather as much as the next person. However, I discovered last year on a trip to Spain with my sons that travelling in the heat with young, energetic children is exhausting. They seemed completely unfazed by the change in temperature and were happy to dash around as usual whereas I just wanted to hide in the shade with an ice cream. As a result, we stayed in the UK this summer which, given the pretty amazing weather over the school holidays, worked brilliantly. We went to the beach quite a few times and had some great camping trips. However, I have ended the year with slightly itchy feet so I’ve booked us a trip to Sicily for next Easter. It has occurred to me since having kids that you don’t need hot weather on holiday just dry, mild weather for the activities which are likely to keep the whole family happy. Building sandcastles, jumping over waves, wandering around tourist sights; these activities are all most enjoyable if you don’t have the sun beating down on you too intensely. If you travel to the southern Med during Easter or May half term rather than during the traditional July and August season, you should get this mild weather as well as lower prices and fewer tourists. So I have put together some ideas on where to go and what to do over these “shoulder season” periods. Sicily is a huge island, the largest in the Mediterranean, so it’s better to concentrate on one area rather than trying to see too much in one holiday. The east of the island is where we are heading as it has so many beautiful sights concentrated into a relatively small space, ideal if you’re travelling with small children (as we are). The main airlines fly into Catania which is well placed half way down the east coast with pretty Taormina to the north, Syracuse and the Baroque towns to the south and Mt Etna casting its shadow just inland. If you travel at Eastertime you’re likely to come across traditional festivals in many of the towns and cities, some places such as Enna in the centre of the country and Trapani in the west have particularly fascinating processions. Sicily is perfect for families looking for a mixture of culture and beach. Many of the places of cultural or historical interest are outdoors so it’s a great way to educate kids while they’re running around and having fun. Much of the eastern and southern coasts are sandy and many of the interesting towns such as Syracuse, Modica and Ragusa are within day trip distance of a beach. The towns are not huge so it’s perfectly feasible to spend a morning wandering round the sights before retiring to the seaside in the afternoon. Families are spoilt for accommodation in Sicily, there are some wonderful agriturismo properties (farm stays) which frequently offer self-catering apartments, a playground and an on-site restaurant. These are my current favourite option for my family as there is plenty of space for energetic children to burn off steam and the food and wine is generally fantastic. If you would prefer to spend a few days in one of the towns, there are plenty of rental apartments on offer at reasonable prices. AirBnB has a huge selection in Taormina which we are taking advantage of. Just an hour south of Catania airport, Syracuse is an excellent place to start your exploration of Sicily. As with many towns in southern Italy and Sicily, the underwhelming outskirts of Syracuse belie the beauty at its centre, in this case the island of Ortigia. 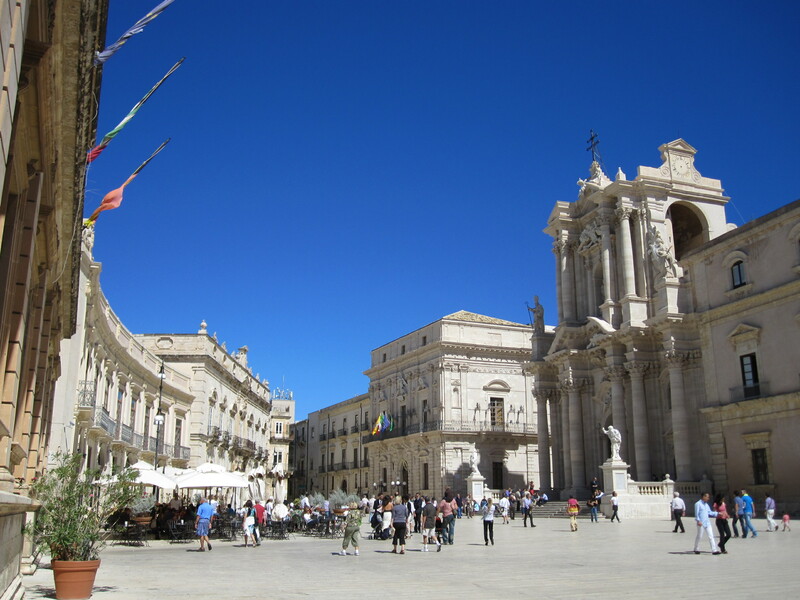 The fabulous (and car-free) Piazza del Duomo is my favourite spot where you can sit back with a granita and reflect on over 2,000 years of Sicilian history, evident in the city’s cathedral, an amalgamation of ancient Greek, Norman and Baroque elements. The town is great for idle wandering and you’re never far from a dazzling view of the Ionian Sea. The puppet theatre will keep the kids entertained and if they have a thirst for history (or you want some space for them to tear around while you quench yours), head to the archaeological park just outside the city which includes the remains of a Greek theatre and the Ear of Dionysius, a grotto shaped like an ear with impressive acoustics. A little further inland is the Necropolis of Pantalica a limestone gorge which is part nature reserve, part ancient graveyard with over 5,000 burial chambers carved into the rocks. 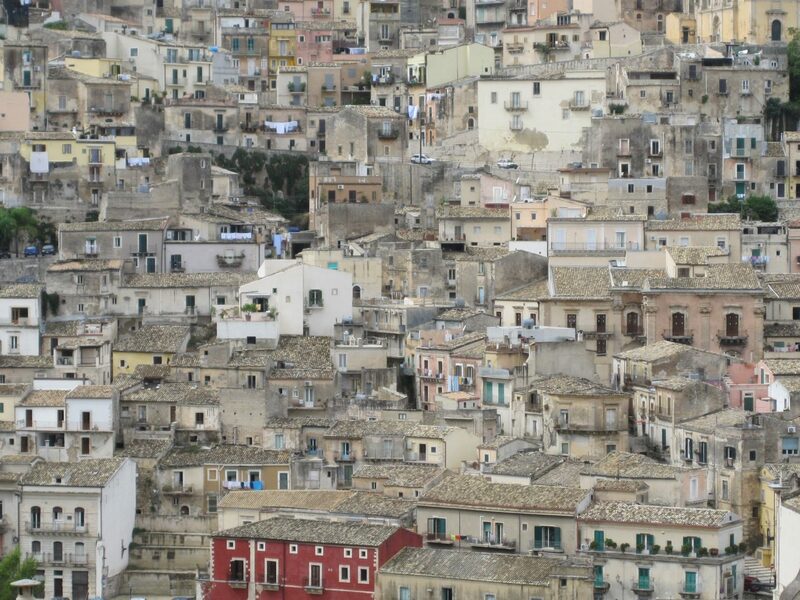 An earthquake in 1693 flattened the towns of south eastern Sicily. 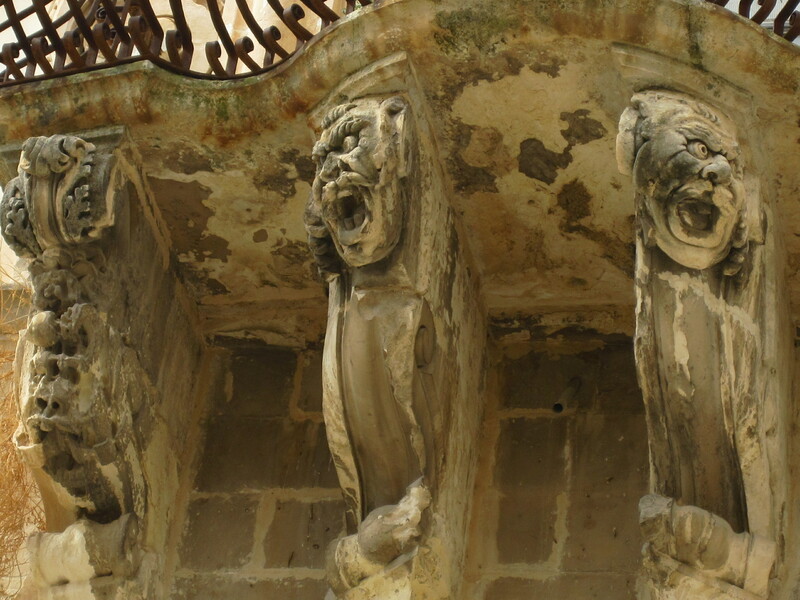 The flamboyant Baroque style in which they were rebuilt is best seen in Noto, Modica, Ragusa and Scicli all of which can be visited from a single base. Moody Modica is my favourite, with its dramatic hillsides covered in crumbling buildings cascading down to the main thoroughfare of Corso Umberto where those with a sweet tooth will enjoy visiting Antica Dolceria Bonajuto, famed for it slightly crunchy chocolate. The town looks particularly dramatic at night when the Chiesa di San Giorgio is lit up; if I was going to film a sinister movie, the opening sequence would be set on the steps on this church. 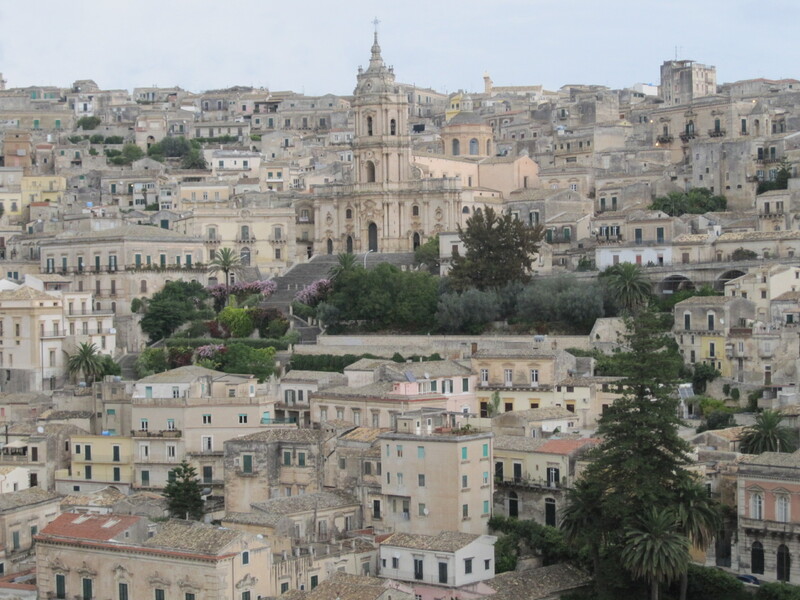 Ragusa is arguably the prettiest of the towns in the area and is popular with foodie travellers while Scicli will wow the kids with its cave dwellings. 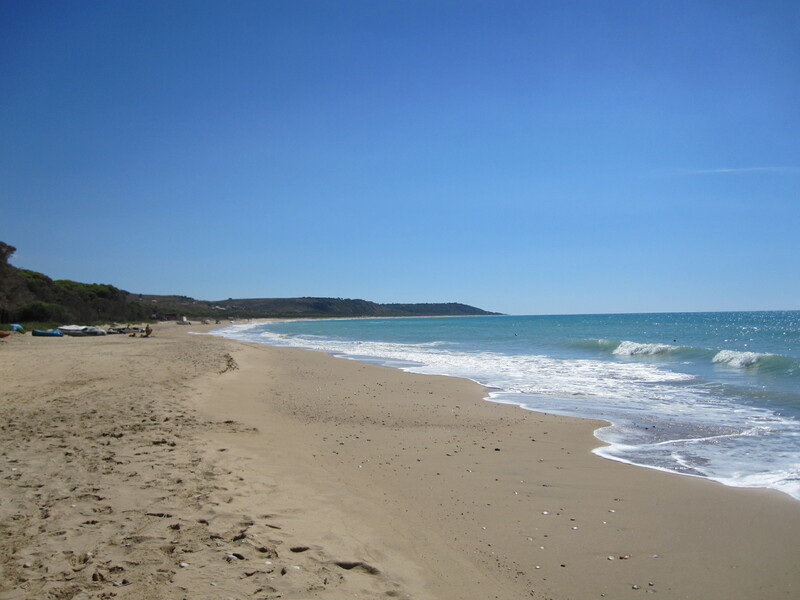 There are plenty of great beaches to explore including those at the Vendicari Nature Reserve south east of Noto and a good selection south of Ragusa and Modica. Castles are found throughout Sicily but handily for my five year old son, who is currently learning about castles at school, there are plenty in the mountainous centre of the island. Actually, it’s handy for me too because I want to visit the incredible mosaics at Villa Romana del Casale and I need something else to entice the rest of the family into this underrated hinterland. We’ll be staying just outside Enna, a vertiginously positioned hilltop town crowned by Castello Lombardia. Just outside nearby Nicosia is the equally formidable looking castle, Castello di Sperlinga, which may or may not be open when we go, I’m trying to find out… This region also appeals to me as a place where we can explore a more traditional part of the island. When some people think of Sicily, they only think of Taormina and it’s easy to see why. It has a spectacular clifftop position overlooking the Ionian Sea and is in turn overlooked by brooding Mt Etna, an active volcano. It has medieval child-friendly streets full of enticing (but pricey) shops and eateries and a well preserved Greek amphitheatre. A cable car takes visitors down to the seaside while the more active can make the dizzying climb up to Castelmola, a ruined castle with fantastic views. I’m hoping to take the kids on geography trips to Mt Etna and the Alcantara gorge. Assuming you are a family of 2 adults and 2 children (although most of the self-catering options I have looked at for my trip would have easily slept more), the cost of a 2 week trip to Sicily with flights, car hire and accommodation is going to cost in the region of £3,000 although flight prices will go up nearer the time (ours cost around £800 for the four of us). If you fancy exposing your children to a dramatically different culture only three hours’ flight from the UK, Morocco is perfect. My preference would be to travel there independently and to hire a car (bringing your kids’ car seats with you, more on that here). Go at May half term for a week and split your time between Marrakech and the coast if you have little ones who want some time playing in the sand or head off to the Atlas Mountains if your children are a little older and enjoy walking. Or if you don’t mind a cooling breeze at the seaside (the Atlantic coast is rather windy), you could combine all three and visit for a longer period over Easter. 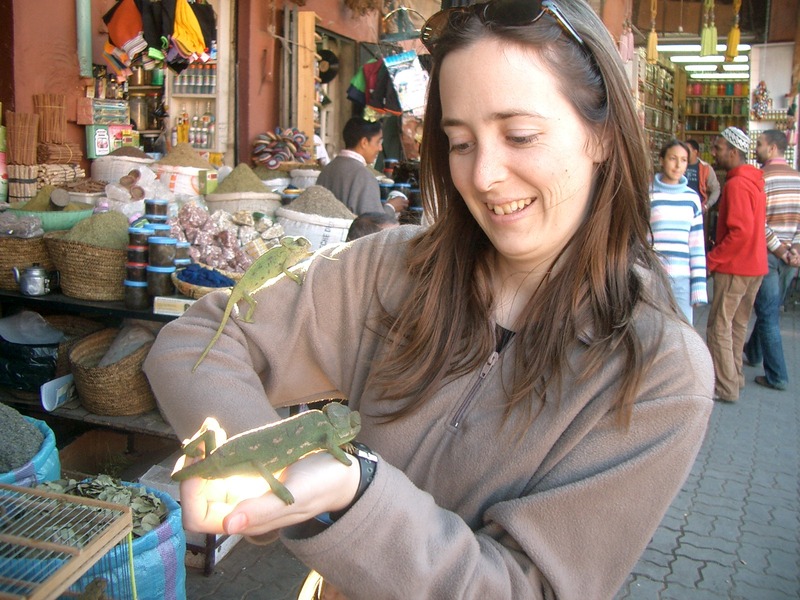 We hired a car on our last trip to Morocco (pre-kids), and once we’d worked out how to get out of Marrakech (with a little help from a man on a moped eager to assist for a small fee), it was pretty straight forward. Alternatively, you can arrange a taxi to transfer you between locations which works out cheaper than car hire but is less of an adventure. Apart from the possibility of misplacing your child in the warren of souks in Marrakech (this is a concern of mine as my two year old son is always on the move), Morocco is a brilliant place to visit with children; they will be welcomed warmly and the change of culture will be a great learning experience for them. Food need not be too much of a culture shock for fussy eaters, there is plenty of bread, potatoes and simply cooked couscous to refuel energetic youngsters. 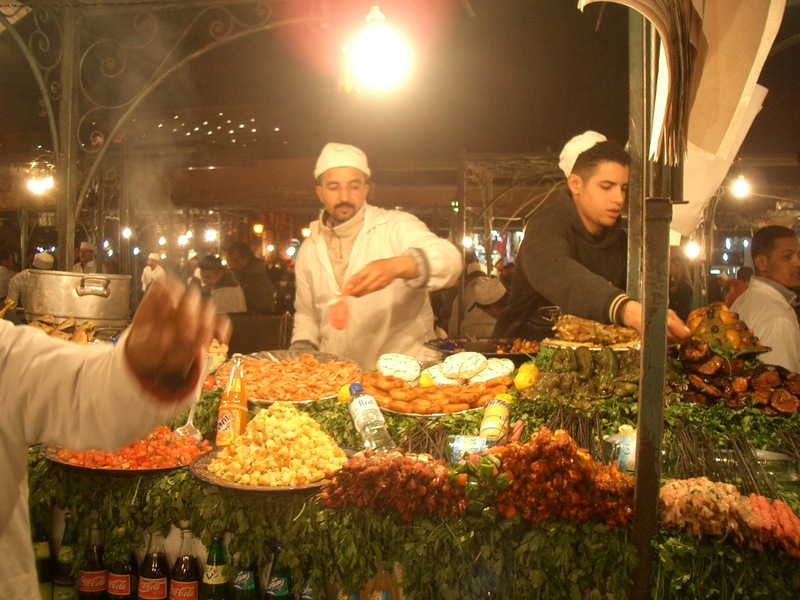 If your children are more adventurous eaters they are in for a treat, the food markets in Marrakech’s Djemaa el Fna (the main square) are a delight for all the senses and a wonderfully sociable occasion. And if they are really fussy, don’t fret, I was served pasta for lunch in a riad I stayed in. Accommodation works well for families in Morocco; the traditional riad, a town house featuring rooms facing onto an internal courtyard, is ideal as there are usually only five or six guest rooms so if you’re travelling with young children you can tuck them up in bed before tucking into dinner and still only be a few paces away from the bedroom. Ranging from ultra-luxurious to very basic, most riads have a roof terrace and open air guest areas where you can relax and enjoy the views or read a book, some riads have a small swimming pool in the courtyard, perfect for cooling off after a hot day of exploring. The riads tend to be centrally located, a short walk from the main square so if you’re eating out in a local restaurant or from one of the food stalls you’re never too far from home. Older children and teens will enjoy the atmosphere in Djemaa el Fna as the sun goes down and the entertainers begin their performances. If you don’t want to immerse yourselves in Moroccan life too deeply, you can of course stay in one of the many upmarket western-style hotels which surround Marrakech and just dip your toes into the city. A further option is to go on an organised trip with an operator such as Explore or Exodus where you’ll travel with other families and a tour guide, perfect if you’re not ready to be completely independent but you’re still keen to get to grips with the destination in a bit more depth. 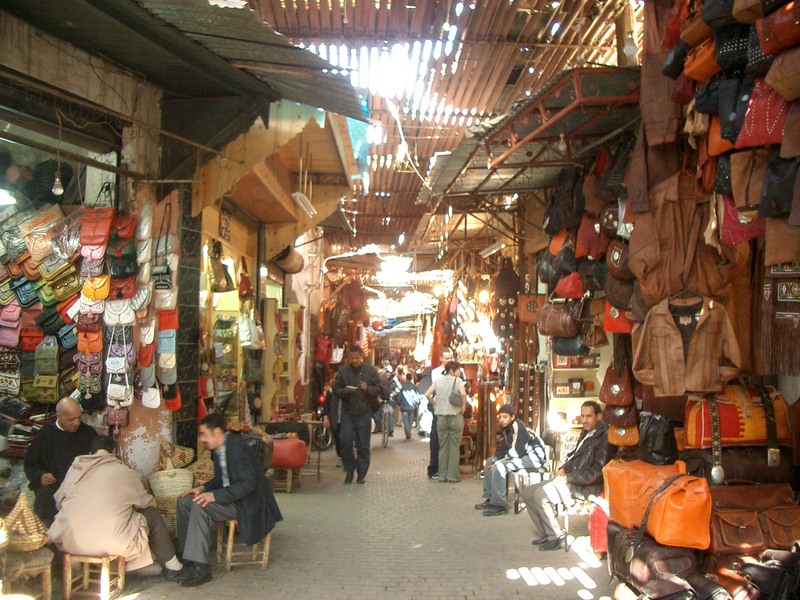 Stay in a centrally placed riad, (Riad al Jazira or one of its sister properties looks good), and spend three days exploring the city: the main square of Djemaa el Fna is a must for snake charmers, magicians and monkeys while bartering in the surrounding souks is a great shopping lesson for kids. Apart from the fabulous evening food stalls, the cafes and restaurants which surround the square offer a perfect vantage point from which to take in the action below; don’t underestimate how many times you’ll need to pause for a refuel. Although the traffic can be intimidating in Marrakech, you can take in the sights from the relative safety of a horse drawn cart or you can take some time out at family-friendly Cyber Park (which also has free Wi-Fi). There are also plenty of gardens to wander through including those of the Koutoubia Mosque and the colourful Majorelle Garden owned by Yves Saint Laurent. The ruins of the El Badi Palace may prove popular with kids keen to channel their inner sultan. 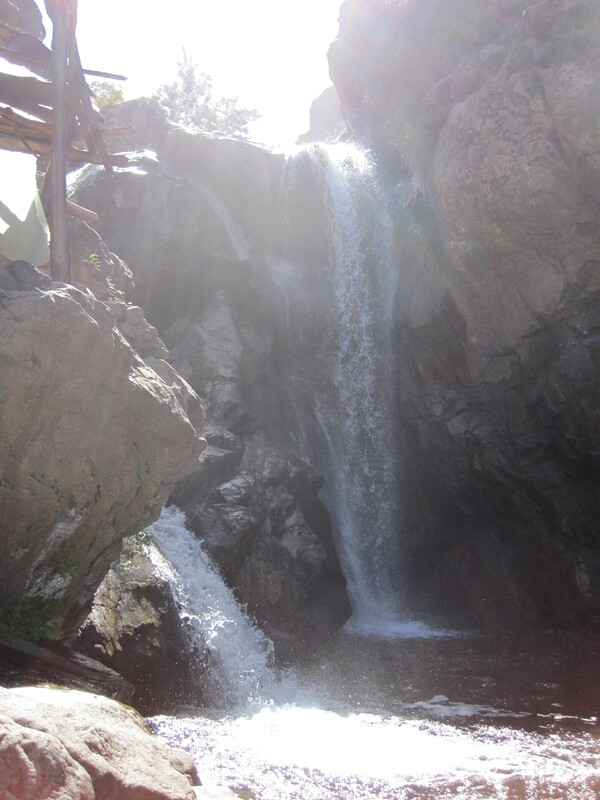 Otherwise, if you just need some typical family summer fun, the Oasiria water park should feel like familiar territory. 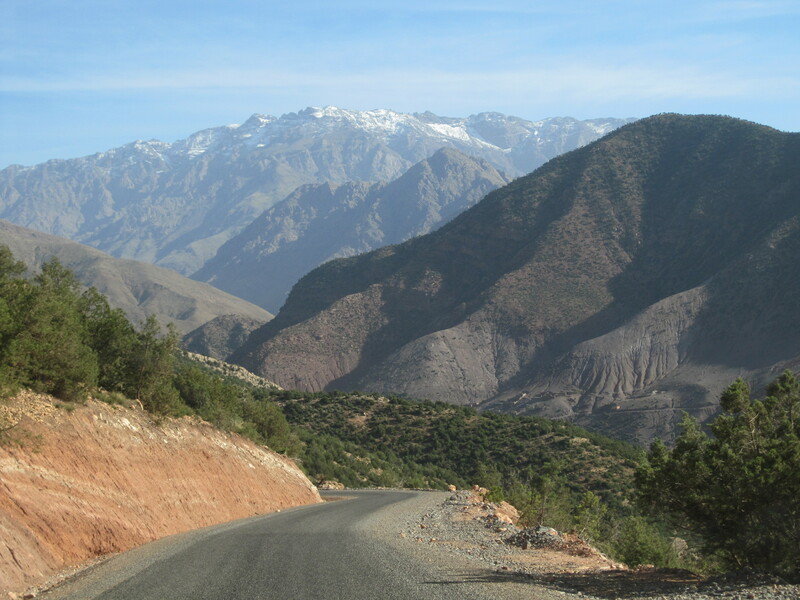 It takes around an hour and a half to drive to Imlil, the village of choice for trekkers planning to summit the highest mountain in the Atlas, Mount Toubkal. The journey, particularly if you decide to hire a car, lends itself to unhurried exploration through ever-changing landscapes of desert, flower filled hills and finally rocky mountains which should be snow-capped at Easter. There are villages on route to stop at for tea or lunch and in general it feels like a distant land constrasting sharply with the bustle of Marrakech. 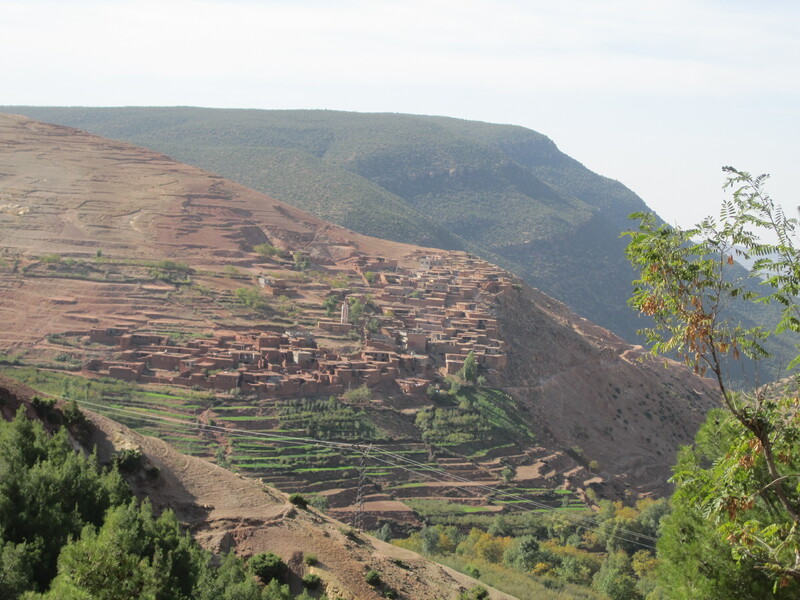 Imlil mainly consists of tourist facilities but the outlying Berber villages which surround it offer an insight into a more traditional way of life. Depending on your fitness levels, you can do walks of any length in the mountains. We hired a guide who took us on a half day trek followed by lunch at his house. We had a lesson from his wife on how to make a chicken tagine, while his young son kept us entertained with gymnastics around their living room. There were also compulsory trips to shops for a spot of haggling and tea drinking as well as just relaxing at our accommodation, the delightful Douar Samra (located just above Imlil). Imlil and the surrounding area is a peaceful place for a bit of family time, uninterrupted by modern life; when we stayed at Douar Samra, we had to leave our car half way up the track and continue our journey by mule. 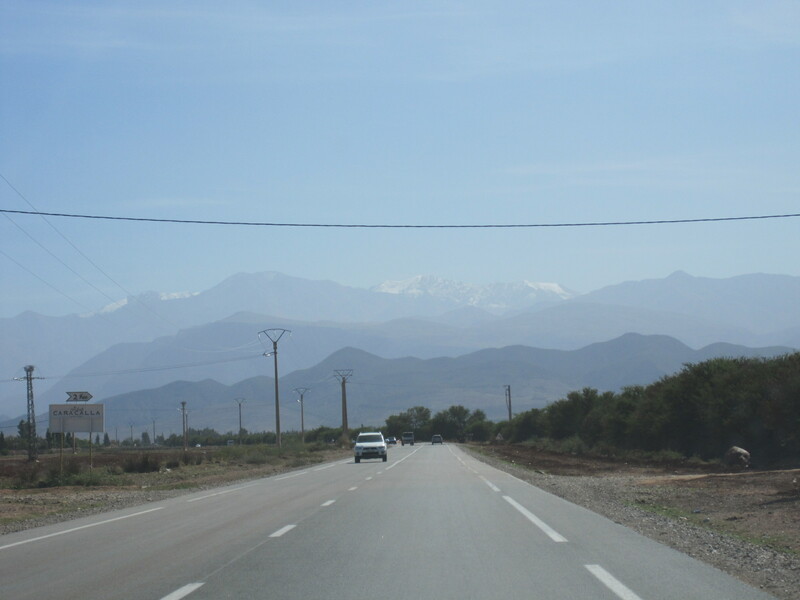 The quickest way to reach family-friendly Essaouria from Imlil is to head back to Marrakech and then on to the coast from there. However, this doubling back affords you the opportunity to marvel at the landscapes on route and once in Essaouira you can opt to fly back to the UK with Easyjet rather than travelling back to Marrakech. The journey time is around four hours in total. Essaouira has become a very popular seaside destination in recent years, in part due to its suitability for windsurfing so the weather is unlikely to be suitable for sunbathing but no one does that with children in tow do they? The town itself is enclosed by 18th century French battlements and features whitewashed houses with blue shutters, quite a contrast to the sandstone dwellings in the mountains. There is plenty of good value accommodation within the town centre, the Tea House is a good option for families offering two bedroom apartments with self-catering facilities should that appeal. Alternatively, take a look at the enticing selection reviewed by the Guardian. Aside from the beach, the town has a strong arts and crafts scene most notably in wood carving so try to ensure your children haven’t spent all of their pocket money in the souks of Marrakech as you’ll no doubt be finding space in your luggage for some intricately carved woodwork. There are also boat trips, camel rides and the fishing port to explore as well as numerous museums plus the old fort Bordj el Berod on the beach which children will enjoy scrambling over. As with all of my calculations, flight costs will increase as you get closer to departure dates but at the moment the cost for flights and accommodation for a family of four should start from £2,000 (Essaouira flights are particularly good value for Easter at the moment). Taxi transfers between Marrakech, Imlil and Essaouira will be roughly £150 in total while car hire is likely to be around £250 for a family-size vehicle (using Avis through Holidays Autos). 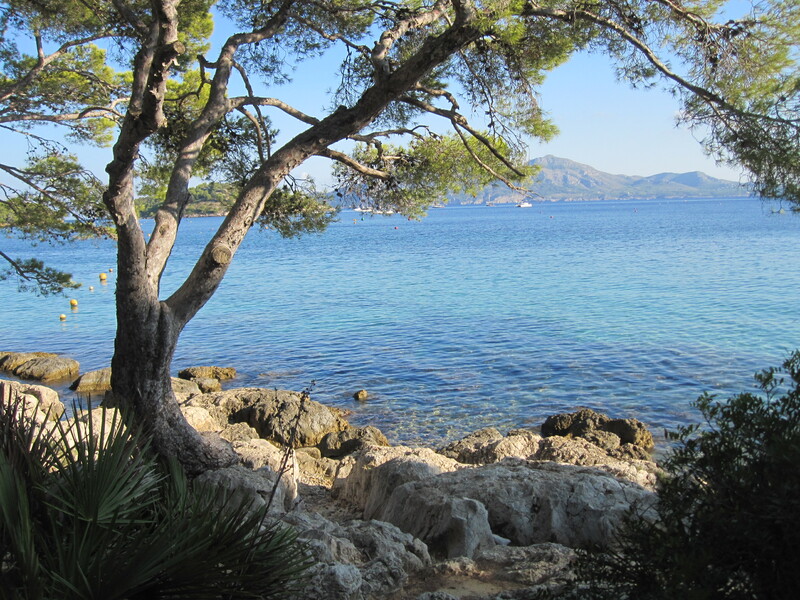 If you’d prefer to stay in one place for your holiday, Mallorca is a brilliant option. We spent a week there when our first born was six weeks old. It is perfect for families and there’s so much more to the island than the typical bucket and spade experience advertised in brochures. 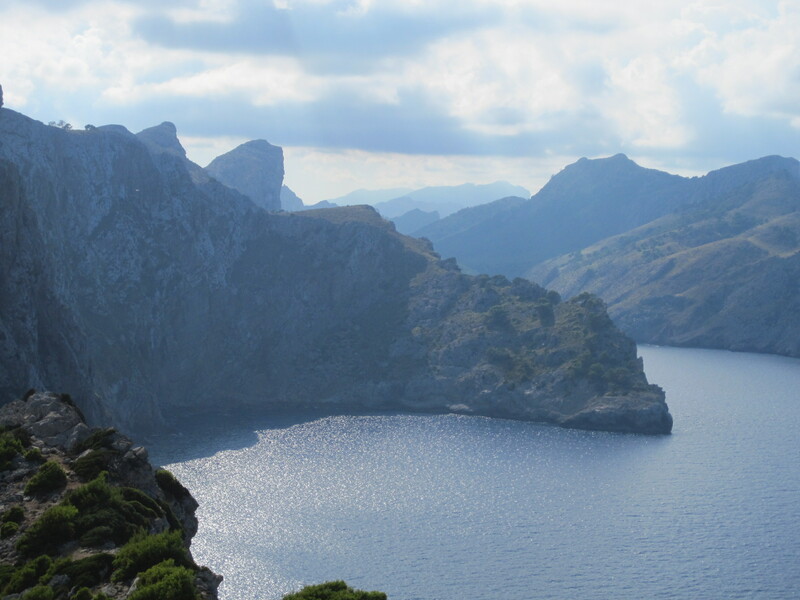 Although there are sandy beaches aplenty, if you travel to Mallorca at Easter the cooler weather will hopefully allow you to try some of the other attractions the island has to offer; beautiful drives through the Tramontana Mountains, history and culture in the capital of Palma as well as wildlife parks, boat trips and caves. On my next visit, I’m keen to visit the Llevant Peninsular, spring weather would make this an ideal spot for walking. 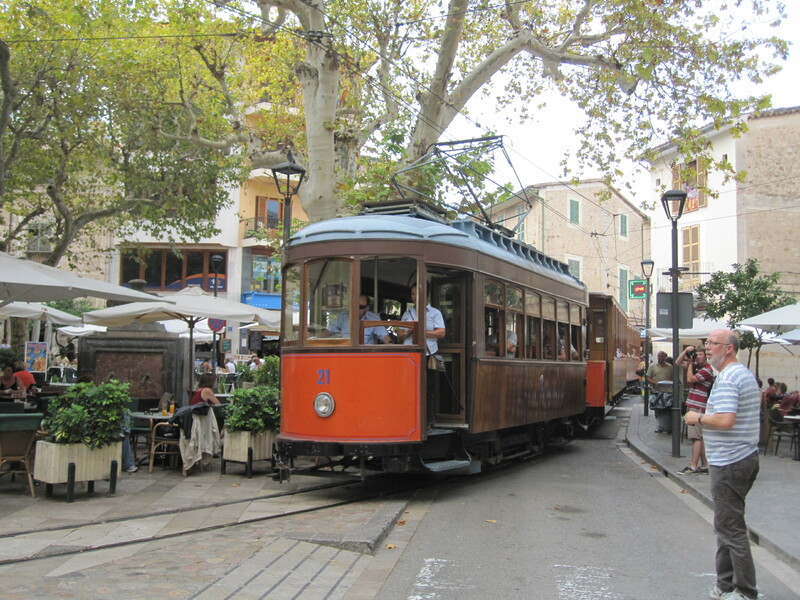 I’d also like to take my kids on the vintage train from Palma up to Soller as well as the tram down to Puerto de Soller. There are endless accommodation options in Mallorca; obviously, if you have young children a villa or apartment with plenty of outside space is ideal whereas families travelling with teens might find a city-based apartment works well so that independently-minded kids can go off and explore Palma. 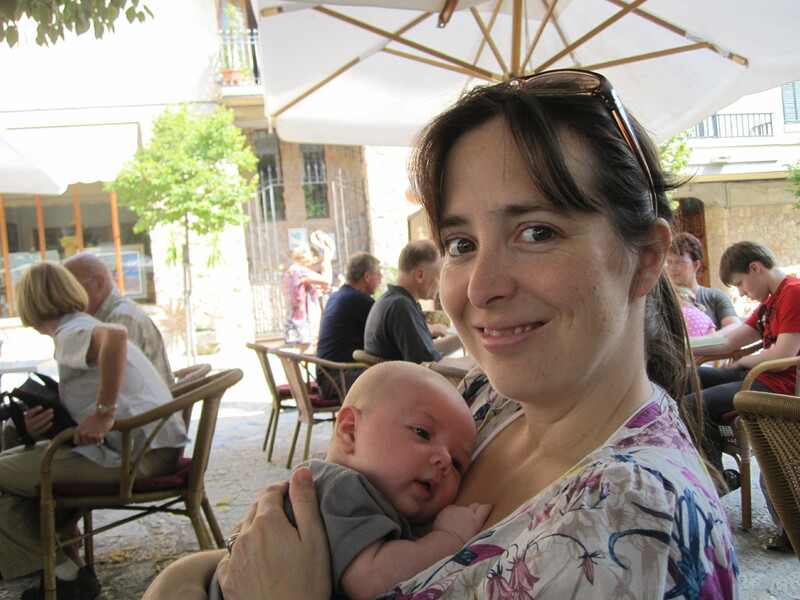 When we travelled to Mallorca with our then-baby, we stayed in a villa surrounded by farmland just outside the popular town of Pollensa in the north of the island. This was perfect as we were close to plenty of beaches, shops and restaurants but we could escape at the end of the day to our rural retreat. If money is no option, there are some incredible villas and hotels worth considering but if you’re on a budget there is a great selection of good value, quality self-catering properties to choose from. Mallorca is a great destination to choose if you’re travelling from a regional airport and there are generally several flights per day from the larger airports. At the moment, flights, accommodation and car hire will cost in the region of £2,000 for a family of four.